Want your eyebrows bladed? 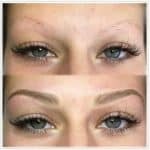 You will surely love this Microblading procedure. Contact Blu Water Day Spa & Salon today with the phone number information found below for an appointment. You can also book online as well as check your Microblading artist by visiting their website. 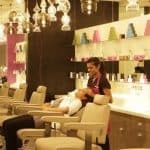 More photos of their works and some reviews found on Blu Water Day Spa & Salon’s Facebook page https://www.facebook.com/BluWaterDaySpaandSalon/.